The Trail Pro Trekking Poles from Black Diamond feature a combination of a huge adjustment range with a well balanced and durable design. Don't worry if you like to do a bit of everything when it comes to experiencing the out doors. The Trail Pro's are great for day hikes in the lake district to multi-day events such as the coast-to-coast. The dual FlickLock Pro closures are fast, secure and easy to adjust to suit the terrain or the situation. The dual density grip, padded wrist strap and foam grip extension makes for great handling regardless of the season. 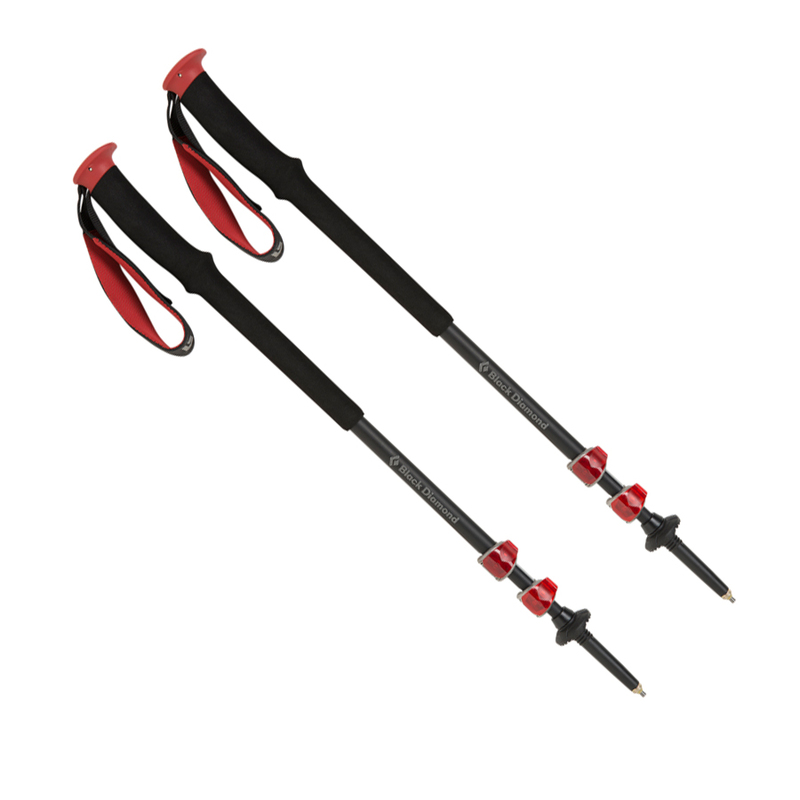 The carbide tech tips are interchangeable to provide better grip on the relative terrain.